It helps to find out as much as you can about a car you are interested in buying. This guide is about 2006 Nissan Altima reviews. 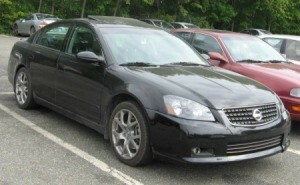 Any first hand opinions on the 2006 Nissan Altima 4 cylinder car? Reliability, mechanical and/or electrical problems? Any information would be appreciated. While I have not driven an Altima I have owned 2 pathfinders. I love Nissan. The quality and performance of their vehicles are next to none. We have never had any mechanical or electrical problems. The only problems we had were from our own making (fender bender). Many people claim that parts etc. are so expensive for Nissan vehicles but in actuality they are so well made that the replacement parts are rarely if ever needed. I will always be a dedicated Nissan fan. Good Luck. My step daughter has a 2004 Altima and she loves it. She drives 700 miles a week and she has never had an ounce of trouble with it.